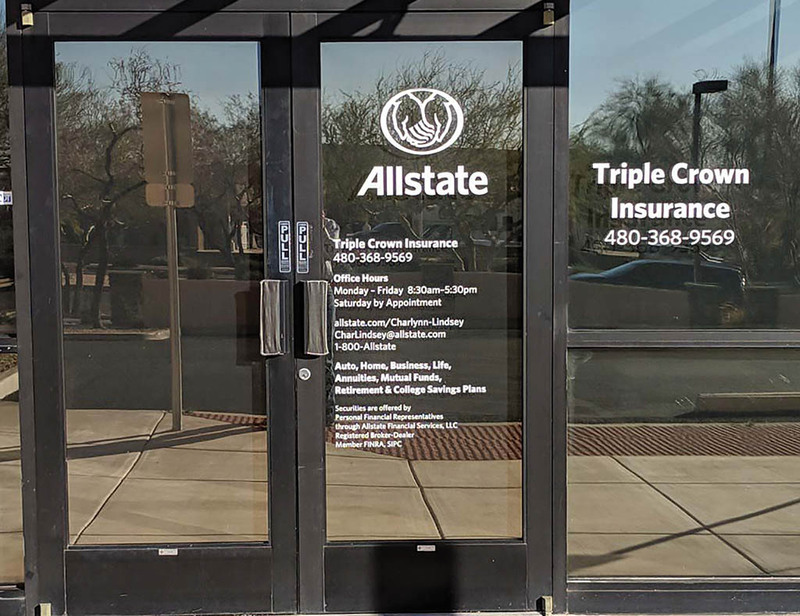 CAVE CREEK – Triple Crown Insurance Solutions, an Allstate Agency, opened their doors in the Cave Creek area in 2014 and have been servicing clients in the Tatum Ranch neighborhood ever since. Owners Gary and Charlynn Lindsey, along with their team, Linda Cerrachio and Sara Thompson, pride themselves on going the extra step to provide knowledge, guidance and peace of mind to their customers. “Our team ensures we explain a customer’s coverage and their limit to help them make the decision that’s right for them,” Gary Lindsey said. Seasons change, life changes, insurance needs change, and because of those changes, Triple Crown Insurance Solutions offers each customer an annual review on their policies to ensure they have the correct coverage. “We send out emails to customers prior to the policy renewal to remind them that it’s time to review their coverages and discounts,” Lindsey said. The world around us is unpredictable — Allstate offers simple tips to prepare for the year ahead. When vacationing, be sure a family member, friend or neighbor has your insurance agent’s contact information, should something happen while you’re out of town. Turn off all water connections (icemaker, washer, dishwasher, etc.) in case of a line break. An annual roof check assures your roof is in good shape and can withstand high winds and blowing rain. To prevent water buildup and reduce possible damage to roof, clean all gutters and remove debris from flat roofs. Inspect any trees near your home to be certain howling winds won’t uproot them or blow them on adjacent structures. Check branches over house, near or on the roof and any limbs close to power lines. A little forethought can prevent big headaches! For your auto, home, business or rental insurance, and financial service needs, call Triple Crown Insurance Solutions at 480-368-9569 or visit them at 28255 N. Tatum Blvd. #7 Cave Creek, AZ.